The Center for Community Engagement and Service Learning cordially invites you as we launch Civic Film Series this February. 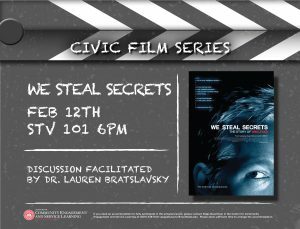 Civic Film Series aims to educate viewers about civic engagement through relevant films. After the movie, a discussion will be led by an Illinois State University faculty. Popcorn will be provided!